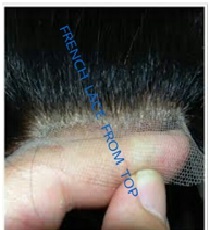 Our Products: All hair patches have human hair with different hair quality. 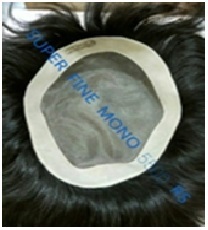 We can also provide you a technician to install the hair patch in your city (nearest city). 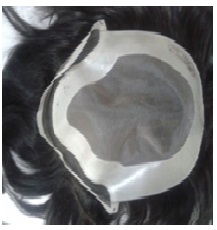 All the hair systems can be attached using clips, tapes or glue. This piece has a life up to 6-8 months depending on the maintenance (average market saloon cost 7000-10000). Since it’s not a skin base system having net on the base, it would give you average look while creating hair partition. 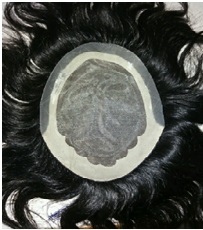 The hair knotting is 3.4 so one hair knot would have 5 to 6 hairs. The hair quality would be average. 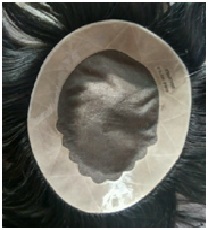 This piece has a life up to 12 to 18 months depending on the maintenance (average market saloon cost 10000-12000). 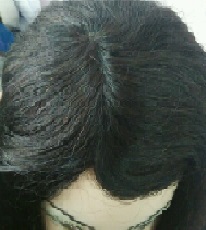 Since it’s not a skin base system having net on the base, this piece comes with heavy density that gives you a pretty natural look .The hair knotting is 2.3, so one hair knot would have 3 to 4 hairs. The hair quality is Remy finest quality, with freestyle. This is best selling piece for the people having budget between 8000-10000 INR. 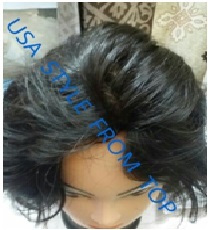 This piece has a very good quality of hair and skin base system to provide you natural look. 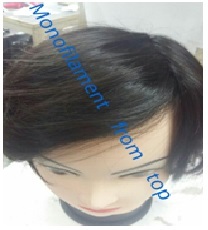 This piece has a life up to 6 to 12 months depending on the maintenance (with clips attachment, it can last up to 1.5 year) (average market saloon cost 12000-14000). 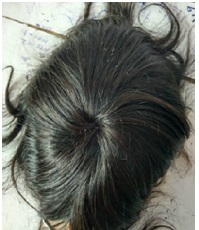 The hair knotting is 2.1, so one hair knot would have 2 to 3 hairs. The hair quality is Remy finest quality, with freestyle. 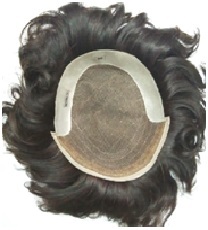 This piece has a life up to 8 to 12 months depending on the maintenance (average market saloon cost 12000-15000). 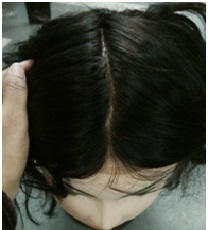 Since it’s not a skin base system having net on the base, this piece comes with heavy density that gives you a pretty natural look .The hair knotting is 2.3, so one hair knot would have 3 to 4 hairs. The hair quality is Remy finest quality, with freestyle. 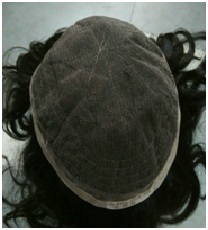 This piece has a very good quality of hair and skin base system to provide you natural look. This piece has a life up to 6 months depending on the maintenance (average market saloon cost 14000-20000). The hair knotting is 2.1, so one hair knot would have 2 to 3 hairs. The hair quality is Remy finest quality, with freestyle. 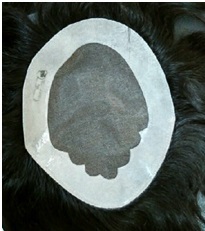 The piece gives you the most natural look as like the hair is growing out of your own scalp. 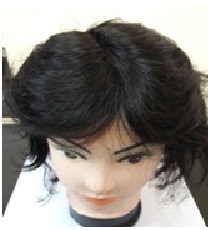 This piece has a very good quality of hair and skin base system to provide you natural look. This piece has a life up to 6 months depending on the maintenance (average market saloon cost 25000-40000). 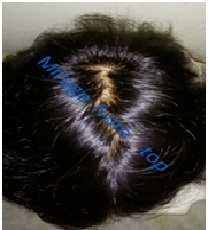 The hair knotting is 1.1, so one hair knot would have 1 hair only. 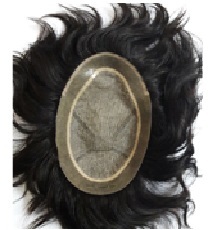 The hair quality is Remy finest quality, with freestyle.